first skateboard that was truly designed to be perfectly balanced. 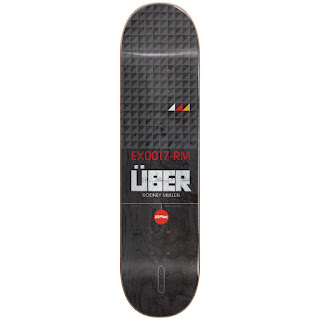 this almost uber board is the only board that rodney mullen has ridden in the last 10 years. it has a foam core insert with a transparent ink with cut outs to expose veneer.